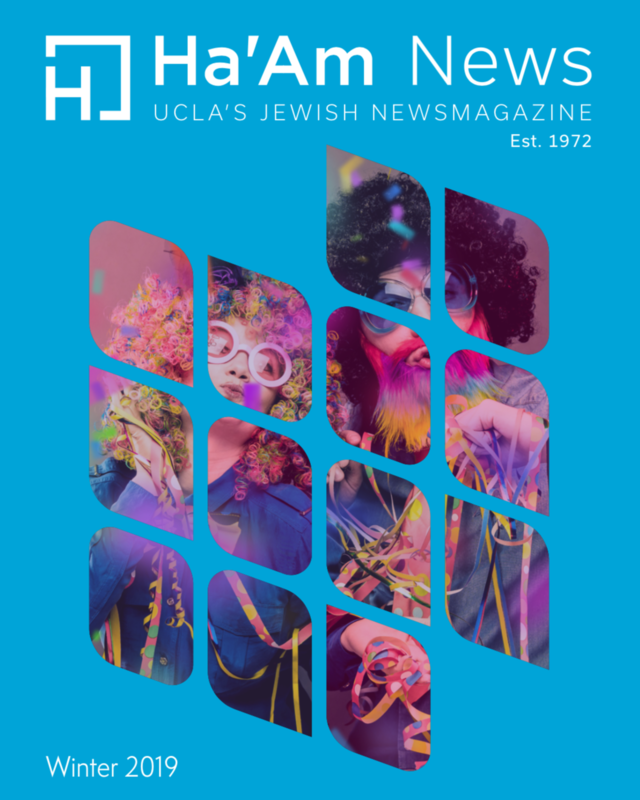 If you are reading this article, you are obviously aware that UCLA has its very own student-run Jewish newsmagazine, Ha’Am! Not many universities can brag about having their own Jewish newsmagazine. Contradictory to what some might believe in light of recent events, UCLA is an amazing place to be, particularly for Jews. In high school, I was the president of two Jewish clubs, yet there were not many opportunities for me to be as involved at the community college level. Many Jewish organizations did not even bother coming to my community college, since their events would only attract 3-5 people. Such organizations would ideally like to impact the maximum amount of people, and Los Angeles Pierce College was just not the right environment for them to do so. Luckily, Rabbi Loloyan from Haichal Moshe Synagogue in Encino came almost weekly with pizza and was always ready to converse about Jewish topics. Although we were a small group of 5 or fewer people, it was still very nice to feed my Jewish identity for even just a few minutes each week. 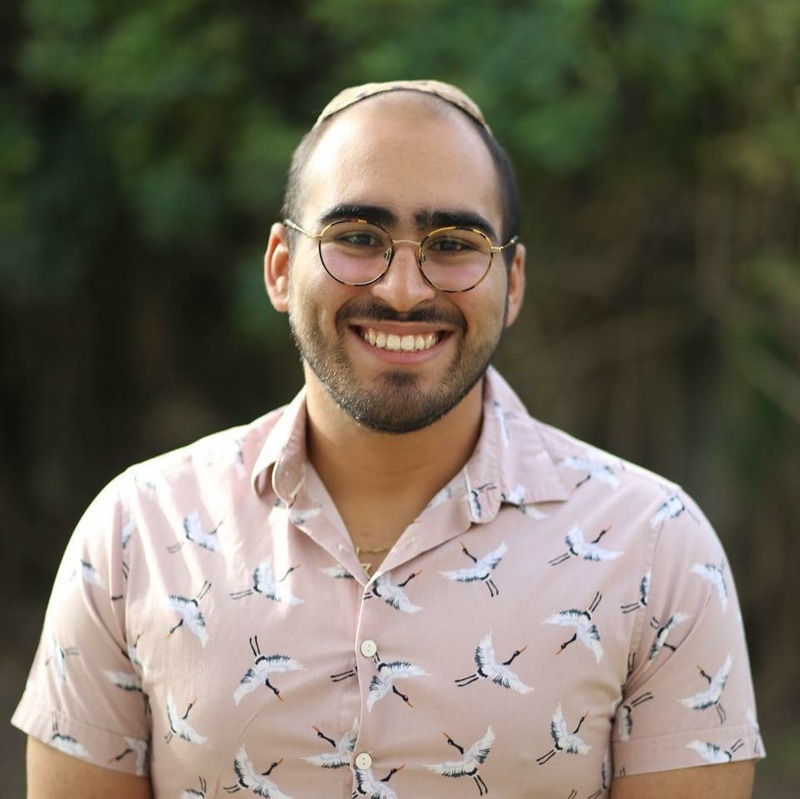 Coming to UCLA, on the other hand, I was joyously overwhelmed with all of the different ways one can become involved with Jewish life and the numerous organizations that are dedicated to making Jewish students truly feel at home. 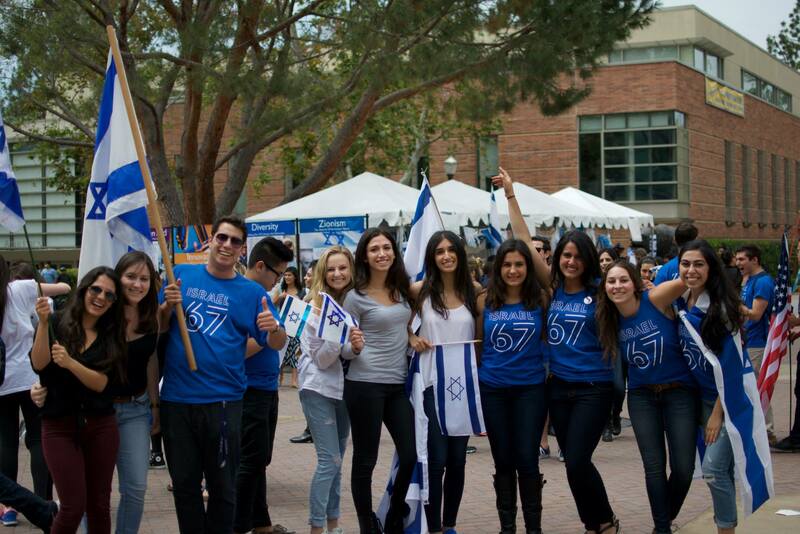 As a result, I have decided to compile a catalog of why I, as a student, believe Jewish life at UCLA is amazing. Yes, I said partying. This is college, after all, and your college experience should consist of awesome parties. Hillel, for example, houses Party with Jews, which hosts events roughly once a quarter. They have awesome themes, such as the “Ugly Sweater” holiday party this past winter quarter. Another event Party with Jews hosts is their annual formal. 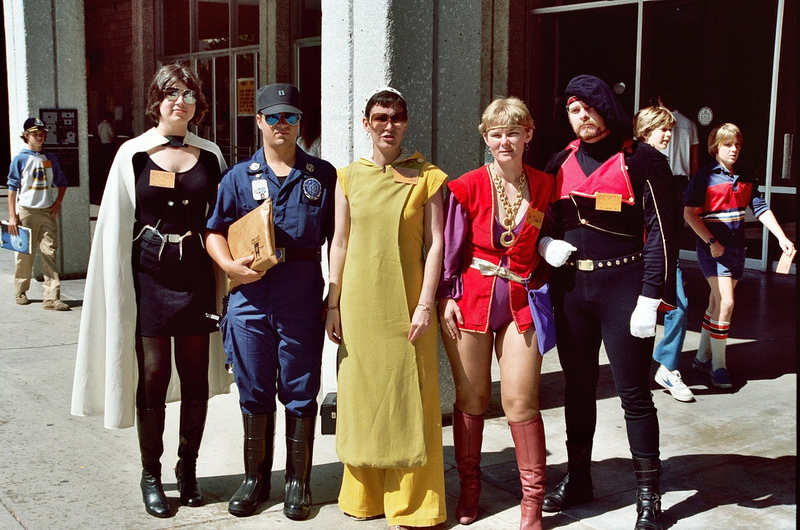 Did you have an awful prom or formal experience that you want to replace? Well you can relive the experience with Party with Jews formal, where you can go to formal with a date of your choice — or alone, that’s cool too — while hanging out with your favorite Jews. Chabad at UCLA throws an annual Purim party where you can flaunt your groovy moves alongside a DJ spinning tunes. This past year, they even had a photo booth, in addition to my favorite DJ and piles of hamantaschen to last a lifetime. You also never know when you’ll run into a large moonbounce outside Hillel, or a huge Purim carnival or Yom Ha’Atzmaut event taking place on Bruinwalk. Not to mention the fact that you will be invited to at least three Shabbat dinners every Friday night! Oh and if you didn’t know, UCLA also has a very active Jewish fraternity, AEPi. They’re beautiful Jewish boys who throw great parties. Must I say more? Fun fact #1: I went to both Chabad’s Purim party and Party with Jews’ formal the past two years before I was even a student. Practically every Jewish holiday essentially has the same message: “They tried to kills us. We won. Now, let’s eat like there is no tomorrow!” We are Jews, we love food, and luckily food is plentiful at UCLA. So is kosher food and wait for it….FREE KOSHER FOOD. Jewish Unity Network, Chabad, Jewish Awareness Movement, Hillel, and the Jewish Learning Initiative on Campus are all just a few of the Jewish groups on campus who have regular events with lots of food at no cost and guaranteed good company. These events include barbecues, learning, speakers, picnics and parties. Running late to class and don’t have time to go to an event? No worries, the SHACK at Hillel has you covered. Serving freshly-made food, supervised by the Rabbinical Council of California, Monday through Thursday from 11:00-2:30, it even offers a kosher meal plan (which I love) in addition to catering and the ability to purchase meals individually. They serve burgers, salads and even have a daily special served with two sides. Hillel’s JLIC is dedicated to having fun and enjoyable programs that incorporate learning. Rabbi Aryeh and Sharona Kaplan actually also held a really nice and intimate Purim gathering at my community college while I was there, and they even gifted me with mishloach manot. I will never forget how happy I was to see them come all the way from the City to the Valley to put smiles on our faces. Now, as a student at UCLA, I have seen how they extend their kindness to all. They are always open to answering questions or just having conversations about life. They constantly go out of their way to make the students of UCLA happy. Some activities they facilitate include Nooshe Joon (Persian-themed lunch-and-learn open to all), learning opportunities, Parsha and Pizza, and a monthly women’s Rosh Chodesh picnic. Chabad at UCLA also has great programs that are centered around Jewish learning. They facilitate Sinai Scholars at UCLA, as well as other programs and events throughout the year. Rabbi Gurevich is currently teaching a class on Gematriya, the numerical values of the Hebrew alphabet. During some quarters, including this past fall quarter, Rabbi Dovid and Rebbetzin Elisa Gurevich open their home to students of UCLA to host a weekly Taco Tuesday. They are very kind and assist students regularly, whether by supplying students with candles for Chanukah or magnets with Shabbat candle lighting times. And we cannot forget JAM! Do you like challah? We are Jews after all, and we love our fair share of carbs. Every Wednesday night, JAM hosts a fun challah baking with a ton of cool toppings like sprinkles and cinnamon, and good company. I love talking to people while I wait for my challah to come out of the oven. In addition to providing you with your fair share of carbs, JAM has opportunities to go to trips like New York and can help you go to Israel through programs that they offer. I have not even been a UCLA student for an entire year, and I have already met so many amazing Jewish people who continue to inspire me. 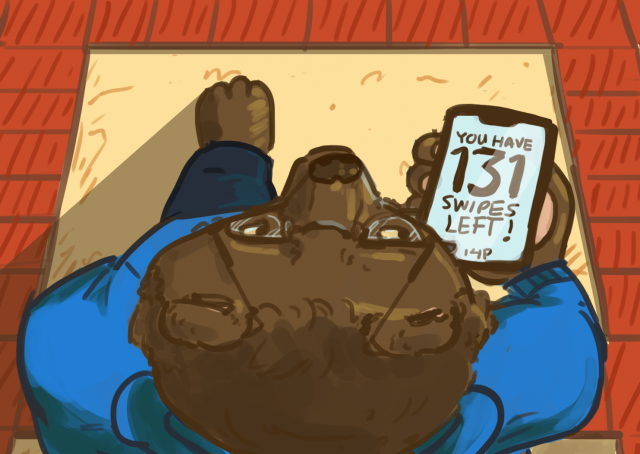 You will be able to walk down Bruinwalk knowing people, giving high fives and feeling proud of your identity. Student leaders will inspire you, you will make friends that you will have forever, and you will have mentors you will remember for a lifetime. Bored between your classes and want to chill with some familiar Jews while munching on a snack? Hillel is conveniently located on Hilgard with its own Coffee Bean, a Ping-Pong table and a pool table. I can always count on running into a familiar face at Hillel, whether I am going to get some studying done or to watch Friends on Netflix on their TV. Rebecca is a third-year Human Biology and Society major. She's an active member of Hillel, where she serves as secretary for the Transfer Students At Hillel (TUSH) group. In addition, she is a part of the Care Extender program for the UCLA health system in the hopes of becoming a medical professional. She enjoys cooking, going to concerts, and relishes the time she has when she is not studying at Powell Library, where she currently resides. And she likes to take pictures of things — hence she is a staff photographer for UCLA’s Jewish newsmagazine, Ha'Am!